Ready your steeds: the fourth expansion for Lord of the Rings: Online is out today, named Lord of the Rings: Online, Riders of Rohan. What’s good about it? 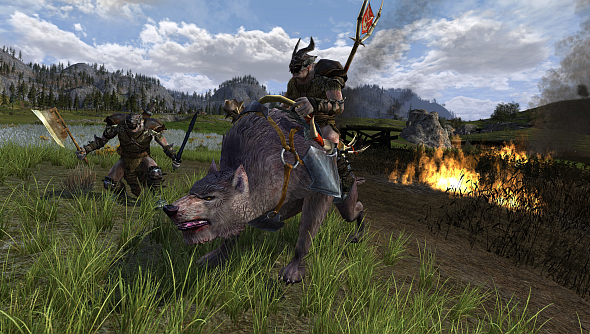 Rohan, according to Lord of the Rings Online developers Turbine, includes the game’s biggest landscapes yet, an increase in the level cap to 85, and a mounted combat system. Because jousting is the best. If you’re a long term player, you’ll want to earn the favour of King Théoden by completing the hundreds of new quests and deeds scattered through the region. The real heart of the expansion, though, has to be the mounted combat. It’s open to any player, regardless of class. You can’t get away with just charging in: you’ll want to flank and bait with other players to be successful. Free players can still access Rohan and its epic story line, but you have to purchase the expansion if you want access to the full experience. Check out this FAQ for more information. Here’s the launch trailer. Looks fun, right?